iPhone 5 Features? How About A Sliding Keyboard Instead? As the rumored September 12 launch date of Apple’s smartphone approaches, more and more speculation about possible iPhone 5 features are beginning to surface. But today. 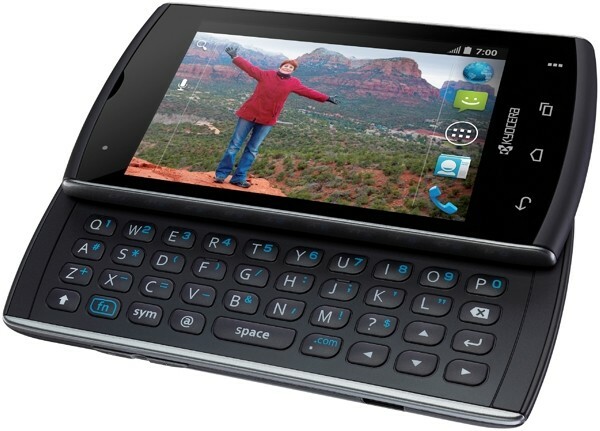 let’s take a look at another phone vying for your attention with a feature that was hot last decade but could make a comeback — the sliding keyboard. Remember when you felt cool sliding up your phone to reveal a qwerty keyboard? Looks like Kyocera had fond memories of sliders as well because it’s a feature that they intend to bring back to the mainstream with the aptly named Kyocera Rise. The Kyocera Rise is an Android 4.0 phone which features a 3.5 HVGA display, a single core 1 GHZ Snapdragon processor, a 3.2MP camera and a 1,500mAh battery that Kyocera claims will give you close to 9 hours of talk time. Sure, those specs aren’t the most impressive but the phone looks pretty sleek and comes with the aforementioned sliding keyboard which should help the device standout from a sea of black or white slabs. It’s a also a feature that could be a plus for heavy texters or people looking for that tactile feel when composing messages. If that’s not enough reason for you to give the Kyocera Rise a second glance, maybe its price can make you reconsider. The Kyocera Rise can be had for a mere $20 with a contract. The phone is already available with Sprint and will be coming to Virgin Mobile by the end of the month. Don’t want to be tied-down to a single carrier? Well, don’t despair! You can still purchase the phone for a mere $100. Is there still room for phones that aren’t by Apple or Samsung? Is the Kyocera Rise something you’d consider getting?